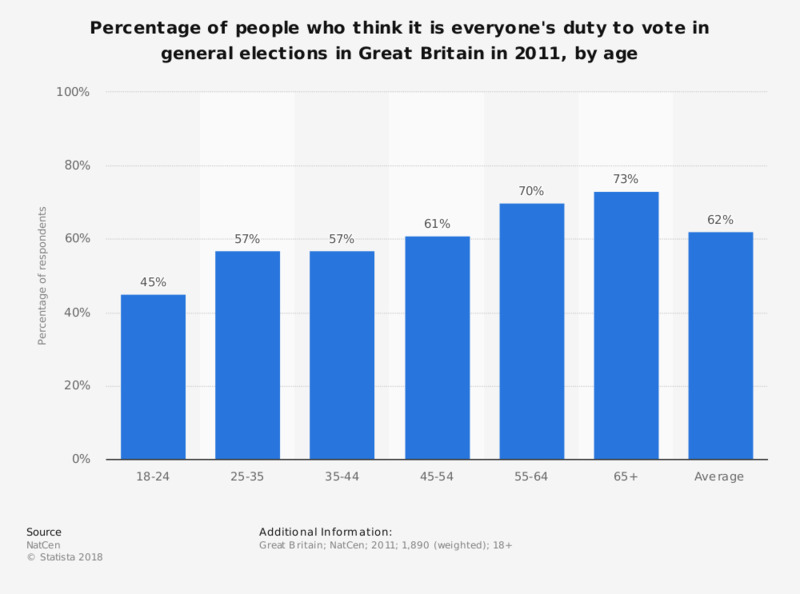 This statistic shows the percentage of people who thought it was everyone's duty to vote in a general election in Great Britain in 2011, by age. 45 percent of 18 to 24 year olds thought this. This was, however, the lowest age group total. The belief that voting is everyone's duty increased with the age groups to 73 percent for those who were 65 plus years old.